Educational loans bridge gap between the 'students' from different financial backgrounds and 'education' that enlightens the knowledge of one's future development. Today, students even when know their parents can afford to pay for their education, still choose the other way and start their life on their own terms and by taking education loan that needs to be repaid on the start of their job. All leading Banks provide Educational Loans to Students of IMS Unison University. IMS Unison University aims to support deserving /meritorious students in availing financial assistance for pursuing their higher education. In order to encourage students to take up higher education despite their financial shortcomings, nowadays, most banks are providing attractive loan facility to students. The University supports the Government initiative VIDYA LAKSHMI PORTAL (Website: https://www.vidyalakshmi.co.in). 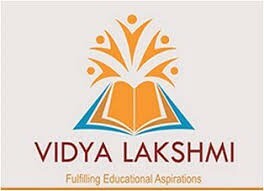 Vidya Lakshmi Portal provides single window for Students to access information about various loan schemes provided by banks and make applications for Educational Loans. Under this scheme student can apply online for education loan by visiting the portal, through Common Educational Loan Application Form to multiple banks in multiple schemes. The portal helps students in speedy disposal of their loan applications across the country.